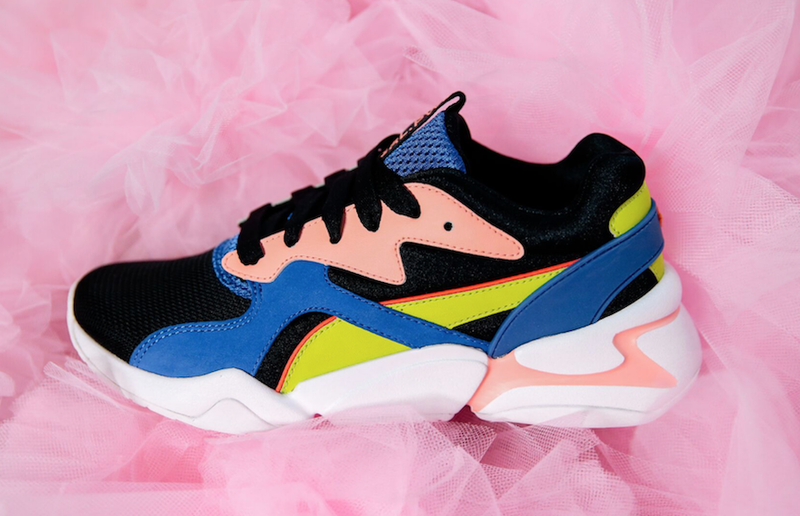 Designed as part of Puma’s Co-creative platform, the colorful sneaker is inspired by 90s runners. The slim mesh upper of the shoe features leather and suede overlays that create the perfect canvas for the bright colorways. Contrasting the sleek upper, the IMEVA midsole of the sneaker is a little chunky to play more into those retro vibes. 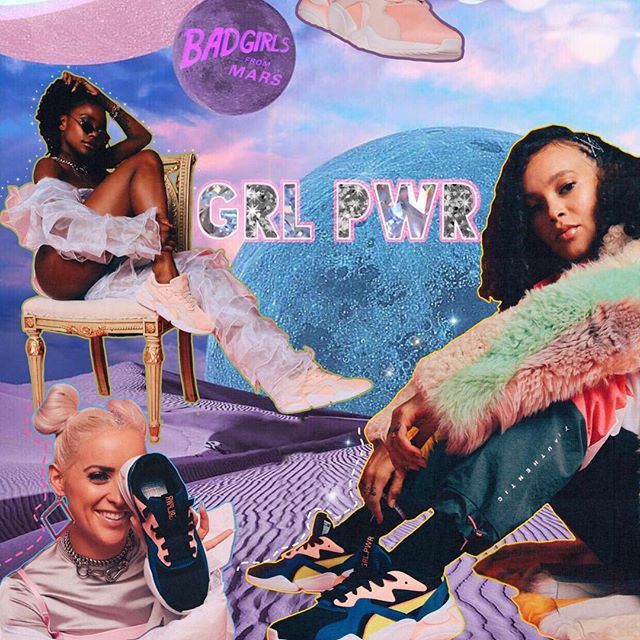 Finished with matching laces and GRL PWR branding, these sneakers are at the top of my wishlist. You can take a look at both colorways, “Black/Surf the Web” and “Peach Bud/Pearl Blush,” below! The message of women empowerment behind these kicks perfectly aligns with Plaku’s GIRL CONNECTED mentorship program. The program pairs aspiring female professionals with industry leaders to learn the various aspects of the music business. 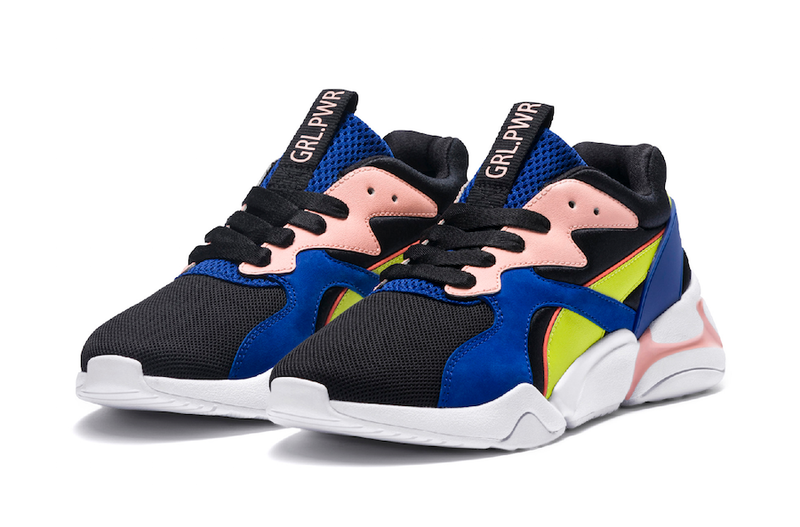 Puma and Lola Plaku’s Nova GRL PWR sneaker is available now for $90 USD. 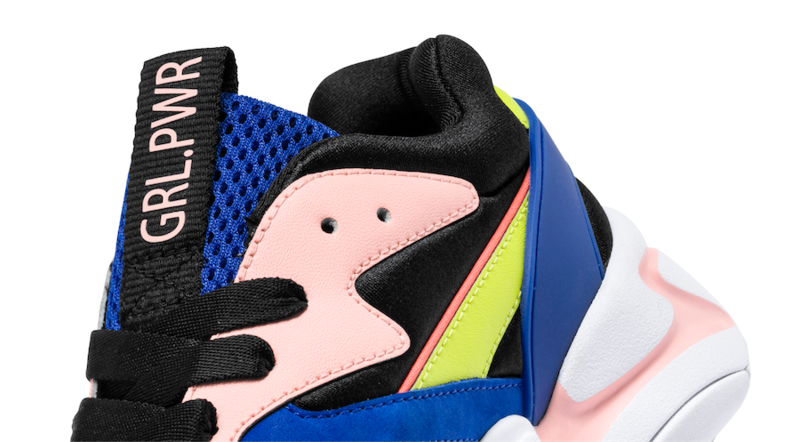 If you need these colorful kicks in your life, you can SHOP THE SNEAKS below!